Diary of a Ledger: £10,000 for a Twitpic? 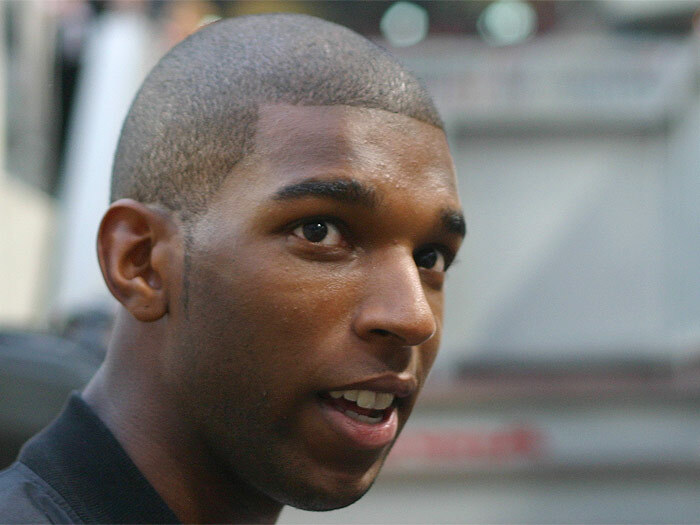 I feel a bit sorry for Ryan Babel. A lil bit anyway. He played during the recent Manchester United Liverpool match which United won from a dodgy(ish) penalty. After the game he logged into Twitter, on the coach home I imagine, and looked at his @ replies. There would have been a fair few and a lot of them would have contained this. 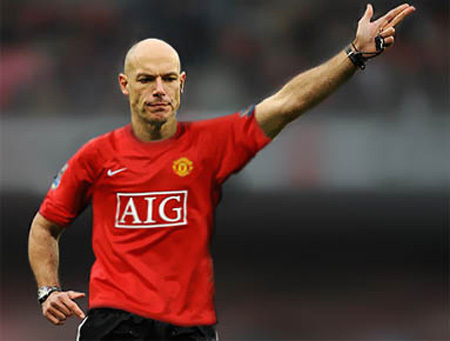 Howard Webb, the ref from the game in a United shirt. It was doing the rounds on Twitter from the moment the penalty got given. I saw people tweeting it throughout the match, using it as their avatar etc etc. It got worse when Gerrard got sent off. Ryan, bless his little self, forgot that he has thousands following him and retweeted it and today the FA Charged him £10,000 for doing so. £10,000?!! For him it's a drop in the ocean, he's probably earned that much while you were reading this. (Well not quite, but you get my drift.) But it's another little reminder of a) how much Twitter has seeped into the public domain and b) how easy it is for even non followers to view your tweets. I don't feel sorry for him because of the money but I do hate it when someone gets made an example of for the sake of it. It wasn't his tweet, it was all over Twitter anyway, err, what exactly did the douche do wrong? Be careful out there kids. Don't be a douche. Next weeks vote: Should Celebrities be censored on twitter?